Chantilly, Va.-based technology integrator VT Group has purchased National Technologies Associates for an undisclosed sum in a move to expand its portfolio of sustainment services and command, control, communications, computers, intelligence, surveillance and reconnaissance platforms for defense clients. 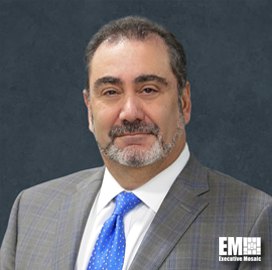 “NTA shares the VT Group passion for engineering excellence and our commitment to meet the critical needs of the warfighter,” John Hassoun, VT Group president and CEO, said in a statement published Tuesday. Hassoun added the transaction builds up the company’s aviation platforms portfolio and serves as a catalyst for future growth efforts and force-multiplier for clients. Established in 1981, Patuxent River, Md.-based NTA has 300 employees that provide engineering, logistics, program management, maintenance and sustainment support as well as research, development, test and evaluation services for rotary- and fixed-wing aircraft and other military aviation systems. VT Group delivers information technology, C4ISR and tech engineering platforms and services to government and commercial clients in national security and defense segments through its over 80 locations worldwide. Arena Strategic Advisors and Mayer Brown LLP served as VT Group’s advisers in the transaction.